Sometimes, the only way we are able to view the brightest stars are when they are falling from the sky. 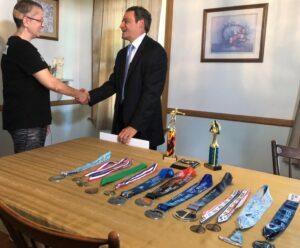 A few days ago, personal injury attorney Mike Bottaro paired up with ABC 6 to meet one of these stars, April Vallier, and her family, to give them a heartwarming surprise following a traumatic brain injury (“TBI”). April Vallier, a trainer at Evolutionary Sports and a wellness enthusiast, participated in Rhode Island’s MS150 charity event, an event that our firm has sponsored. After skidding on a patch of sand, April had a serious fall and suffered multiple personal injuries, including a traumatic brain injury (“TBI”), involving a crack in her skull, along with fractured pelvis, and a fractured cheekbone. After her bike accident and TBI, April received life-saving brain surgery due to the bleeding in her brain, where a surgeon actually had to piece parts of April’s skull back together. April is now out of the hospital and faces a long road back to recovery. But her progress already has surprised her doctors, but with friends and family by her side, along with her outstanding physical health – she wasn’t going to let this stop her. Suffering through severe injuries like April’s really takes a toll on family; whether it’s emotionally, physically, or even financially. 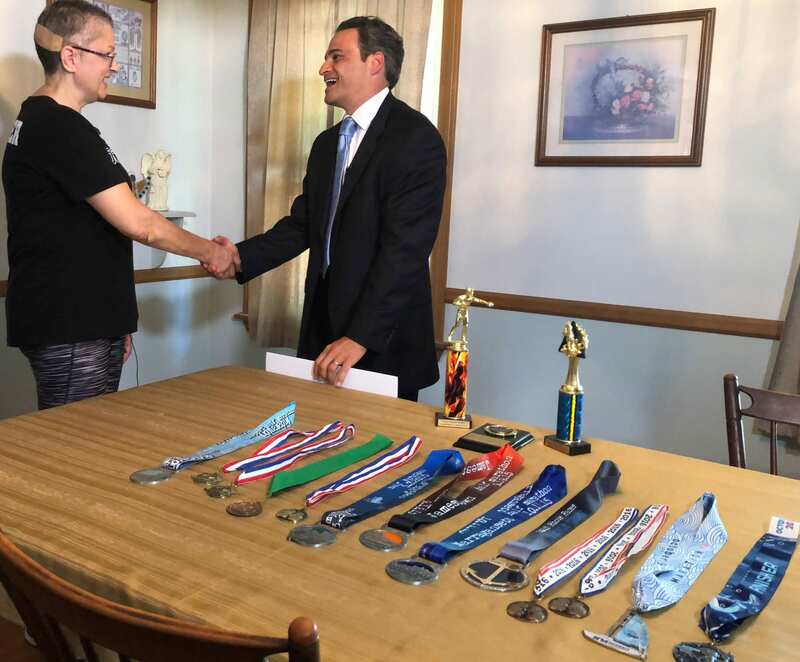 To help her family with some of the medical expenses, Attorney Bottaro surprised April with a check of $1,000 – something that her family was not expecting at all. Each month, the Bottaro Law Firm and ABC 6 partner up to lend a Helping Hand to people in our ministry who have fallen on hard times such as a personal injury. Because bikers do not have the same protection as people in vehicles, the personal injuries they endure from a bicycle or motorcycle accident can be far worse than those in an auto accident. These injuries could become even more fatal if the cyclist’s helmet falls off during the accident – which is what happened to April. We want to wish all the best to April, and we hope she continues to let her positivity shine and motivate her through her recovery process!